Situated on the banks of the River Barrow, within luscious green grounds, The 3 Star Woodford Dolmen Hotel in Carlow makes the perfect location for a relaxing weekend or midweek break. 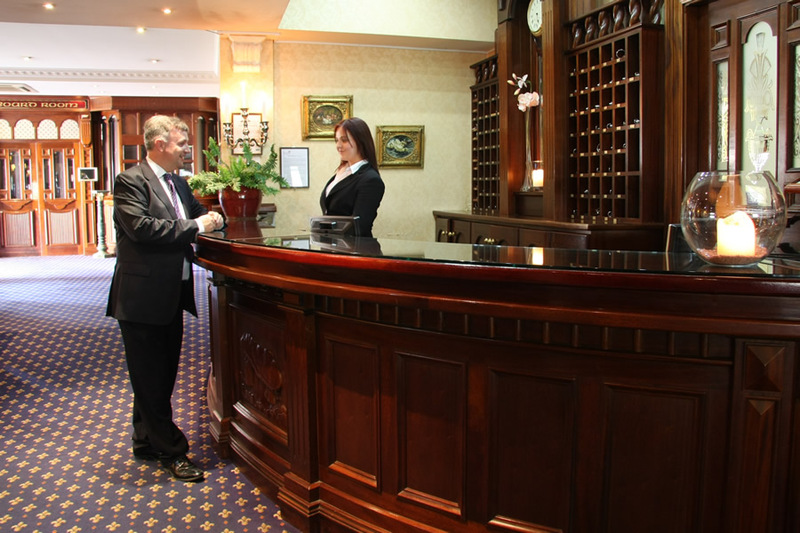 Access is simple as the hotel is situated just outside Carlow on the Kilkenny Road and offers complimentary parking. The warm and friendly staff will ensure that you have a truly relaxing and memorable stay. 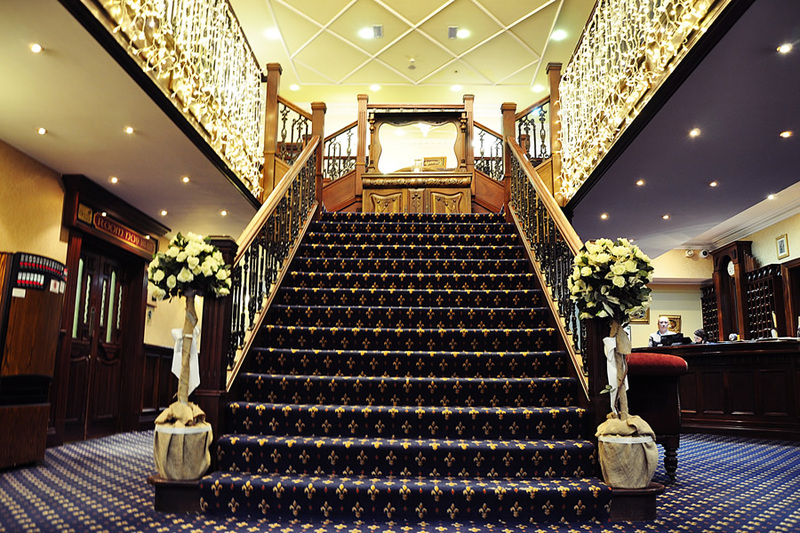 We look forward to welcoming you to the Dolmen Hotel. This Hotel is a Non smoking Hotel. 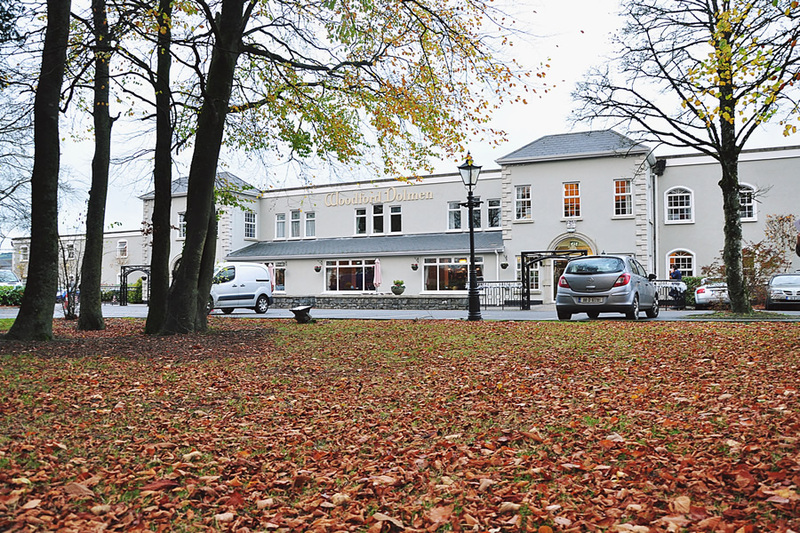 The Dolmen Hotel is located on the Kilkenny Road, Carlow. Lovely hotel, staff excellent, great breakfast. Will return against. Friendly staff - warm reception. Very easy to find and in a great location, close enough to Carlow but far enough away to be quiet. Good roomy car park and nice gardens. The room was very nice and airy. Bed good and the TV was very good. Very good choice of channels and the TV was flat screen and new. Other Hotels should take note!!!! Food was excellent and the set menu for the dinner was reasonable with a good choice of starters, mains and desserts. Service could not be better. Staff in this hotel are very nice, chatty and helpful. Breakfast was nice with a good choice of cereals, hot food and pastries. Overall a good quiet hotel in a good location. Nice rooms and good food. Recommended. Lovely hotel..charming and Olde Worlde feeling.. the staff we encountered were courtious,friendly and helpful.The room we had was spotless. A big thank you to the waitresses in the diningroom for their help in helping me choose what I could eat from the menu..due to food allergies. The meal we had was delicious and plentiful. Breakfast was the same ..good food and plenty of it. Very happy to recomend this hotel to anyone looking for a quiet break away. stayed there for a wedding, the wedding was great the food delicious and the staff were brilliant. the rooms nice and spacious. all in all a very enjoyable stay. would recommend. Stayed in the Dolmen Hotel May 2013. Rooms are adequate, clean and fresh. Staff are really lovely, very friendly and helpful. Was there for a wedding. Food was lovely and breakfast was very good. Its not a plush hotel, but has a lovely abidance and I would definitely stay there again and would recommend it. I would give three stars to this hotel. The hotel staff i met were all very nice-check in was very good. I had asked for a room away from noise as i go to bed early,and was a light sleeper.I was out and returned to the hotel to bed at 11.30pm and I was unable to sleep due to the fact that my room seemed to be over the function room,and also just down the hall was more music from another function held earlier.My bedroom window would not close,and as it faced out to the front of the hotel,I heard all the noise from the people out chatting,waiting for taxis etc..so all in all.. It was 5am when i got to sleep. So i did not avail of the breakfast and checked out 7.30am very tired and dissapointed in my stay. Again the staff were all lovley and hardworking...and were very nice upon check out. Nice hotel for a stay. we really enjoyed our stay at your hotel last weekend,we would highly recommend the hotel and we found all your staff to be very helpfull.kind regards sean and roisin mchugh. My fiance and i spent a weekend here and we loved it. The staff were all so friendly and approachable which is a make or break for me when it comes to hotels. From the receptionists to barmen to cleaning staff everyone of them were so nice and accomodating! The room was very comfortable, clean and stylish without being pretentious. Our room was serviced every day. We didn't have any lunch or dinner at the hotel altho i had heard it is great there we did have breakfast on both mornings which was delicious and plentyful. All in all we had a great relaxing weekend with no complaints. And to top it off the price was fantastic. €148 for the both of us for the two nights. Perfect! Stayed at the Dolmen Hotel last weekend and loved it, would definitely return, our bedroom was comfortable and clean, the food was excellent and they have some of the best staff I have come across in all the hotels I have stayed at, they made us feel very welcome. The only issue we had was there was a hen party in the room next to us on our last night and unfortunately we didn't get any sleep so the next time we stay I would insist on a room away from the hens :) (this is the only reason I am rating it 4 stars and not 5) Looking forward to our next visit. We were really disappointed with our stay in this hotel. When we arrived there was mayhem in the carpark as there was not one space available, when we evenually managed to park the car and entered the hotel we saw that the Leinster Irish Dancing championships were taking place. The foyer was full of children running around the place and up and down the stairs which I have no problem with it was just that we were on a break and it was not what I was expecting to see. Our room was the closest to all this acitivity and the noise went on until 12.30 am. It was disgraceful that management did not let us know that this event was taking place the weekend we were staying. The hotel made no effort to apologise for this and I wont be staying in this hotel ever again. enjoyed my stay,, lovely hotel, good food, staff very friendly, great value, will go back again, mary.